We wanted to take a moment to reflect on the past year and give our thanks to those that have helped us succeed. Despite the challenges our community faced this year, the culture and community have never been stronger and we feel incredibly honored to live here. 2018 turned out to be an incredible year for MK Properties. On top of closing $97 million in real estate, we made the “Top 3” list amongst Residential Real Estate Agents in Santa Barbara County. This is an incredible feat for our boutique 4-person team as we are competing locally against large teams with 7-12 people on them. We attribute our success to our loyal and repeat clients, friends, and family who continue to refer business our way, as well as our commitment to providing the absolute best real estate service in Santa Barbara County. So, to those of you who continue to believe in us, THANK YOU! 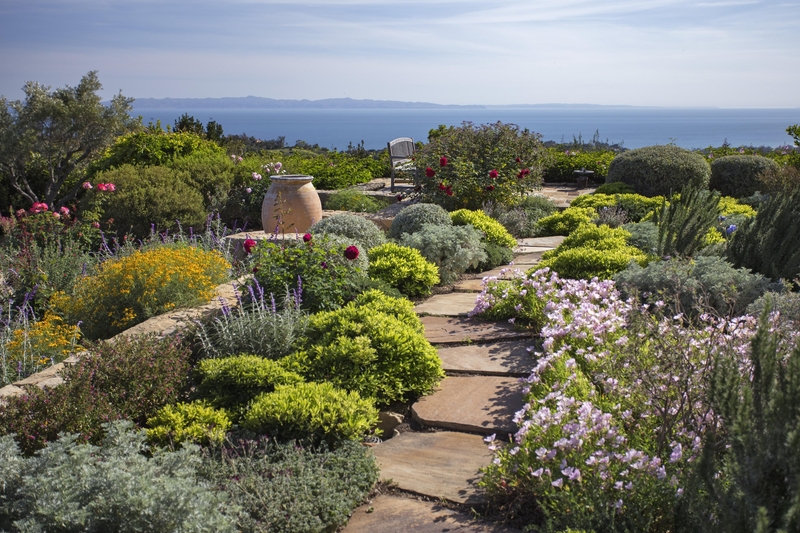 If you are thinking of making a move, we would love to show you why we continue to lead the Santa Barbara and Montecito real estate market. We look forward to working with you in 2019! Wishing you a healthy, prosperous, and fulfilling year ahead! 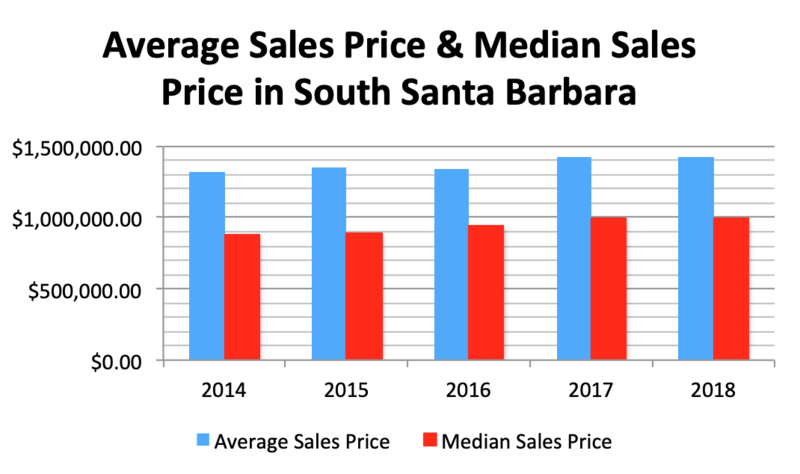 When comparing the 2018 statistics to the previous year, South Santa Barbara County (Goleta through Carpinteria) saw prices level out and sales activity decline. Inventory rose 8% to 2,984 active listings in the marketplace. The number of sales dropped 8% to 1,622 and the number of escrows dipped 1% to 1,701. Both average sales price and median sales price were unchanged, hovering at $1,419,983 and $1 million respectively. Overall, sold volume fell 8% to approximately $2.3 billion. Sales had a slightly shorter shelf life in 2018, with the cumulative days on market averaging 67 days, down from 76 days, and on average, sold at 96% of their asking price, up 1% from last year. The ultra-high-end market outperformed the previous year, with 15 sales above $10 million, compared to 10 sales the previous year. 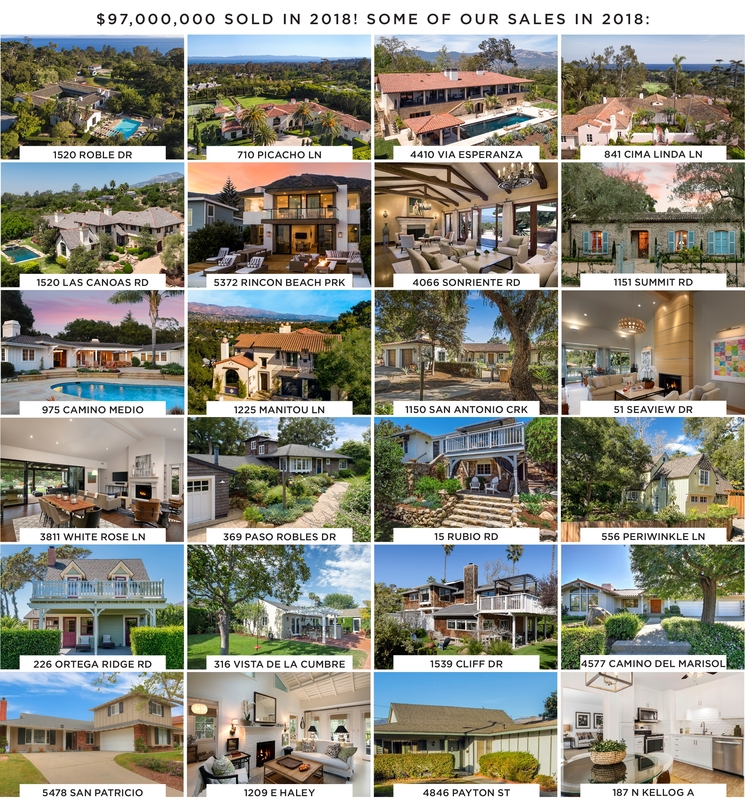 These sales were mainly comprised of large Hope Ranch estates, Santa Barbara bluff top homes, and Montecito view properties. 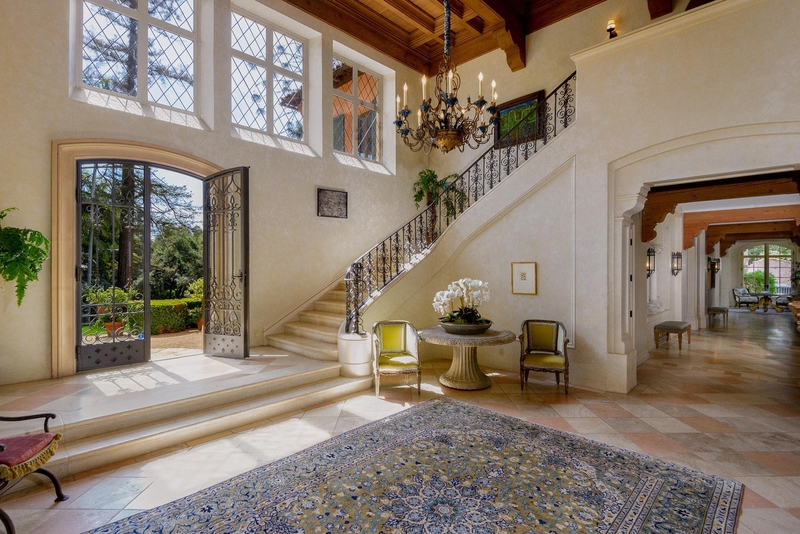 The highest sale of the year was at 1627 East Valley Road, which closed for $35 million. 2019 is off to a great start with the pending sale of the 1,800-acre Las Varas Ranch, currently offered at $90,000,000, which is slated to close early January to Charlie Munger, vice chairman of our company, Berkshire Hathaway. 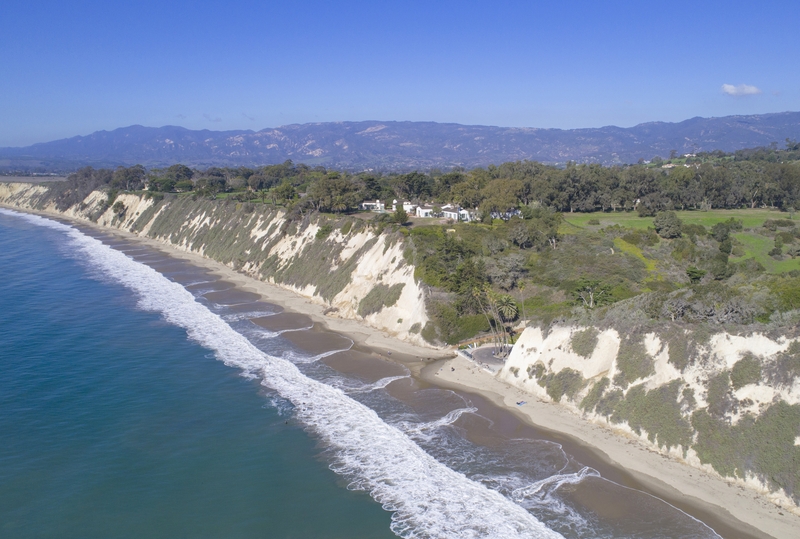 Due to the Thomas fire and subsequent debris flow, the Montecito real estate market faced an uphill battled the first half of 2018. Overall, inventory fell 7%, to 470 total active listings. The number of sales slipped 28% and the number of escrows declined by 25%. Despite the reduced activity, average price rose 10% to $3,552,638, due to the strong luxury sector mentioned above. However, median price fell 9% to $2,500,000 and sold volume dropped 21% to $529 million. Time on the market fell by a month, averaging 139 days, compared to 168 the previous year. On average, listings in Montecito sold at 92% of their asking price, down 1% from 2017. Q4 2018 in Montecito saw 42 sales and 8 off market sales, compared to 53 sales in Q4 2017 (3 off market). Average sales price was $2,888,610, with a median sales price of $2,140,000. 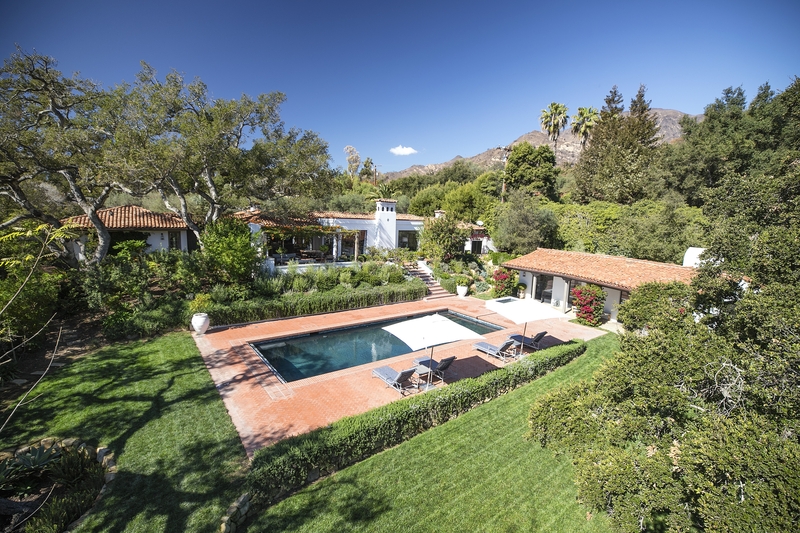 901 Cima Del Mundo Road was originally listed at $14,900,000 in 2016 and was on the market for 521 days before taking the property off the MLS for a fresh reboot. The property sold in November of 2018 for $13,000,000 by Village Properties. 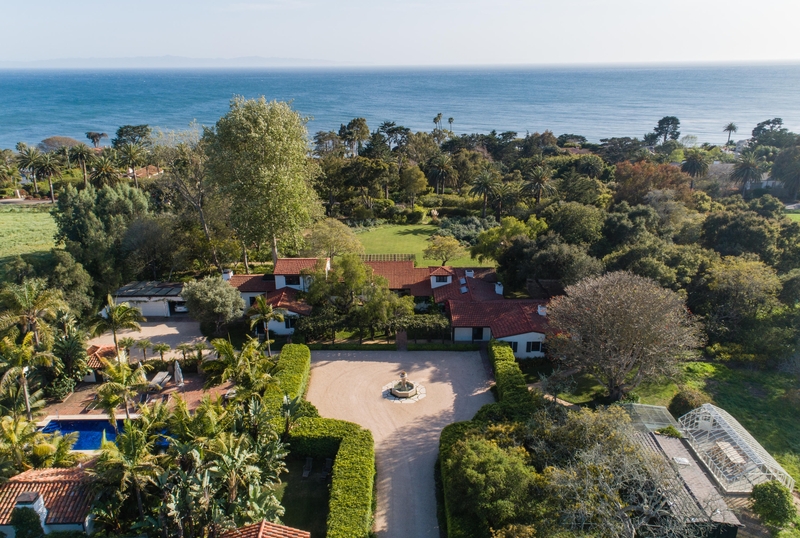 3 estates on the market over $6 million sold in Montecito Q4 2018, and there was 1 luxury off market sale. 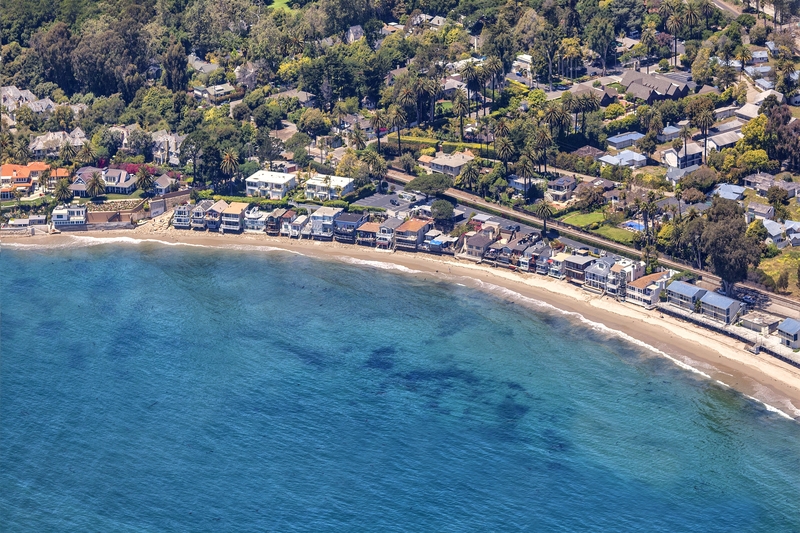 There were only 2 sales over $10 million in Q4 in Montecito. The Hope Ranch market had its strongest year in recent history. Compared to 2017, number of sales spiked 24% to 41 closed transactions. Sold volume shot up a staggering 55% to $186 million and the number of escrows jumped 48% to 43 transactions. Not keeping up with demand, housing supply only grew 7% to 91 total active listings. Prices reached new peaks in the Ranch: average price rose 25% to $4,549,566, while median price grew 31% to $3,400,000. 7 of the 15 luxury sales in 2018 over $10 million were located in Hope Ranch. On average, listings sold at 93% of their asking price, up 3% from the previous year. For those sales, the cumulative days on market grew 20 days, averaging 207 days. Hope Ranch saw 6 sales in Q4 2018, with an average sales price of $4,355,833 and a median of $3,337,500, compared to 12 sales in Q4 2017. 4191 Mariposa Drive was listed at $9,350,000 and was on the market for 169 days. The property sold for $9,500,000 in November, represented by Village Properties. Hope Ranch is already off to a spectacular start in 2019 with already 3 sales in the new year, as of January 14th, 2019. 2 sales beating Q4's high sale: 4455-4445 Via Bendita selling for $16,438,000, 4160 La Ladera Road closing at $14,800,000. Since the recession, National housing prices have been on a steady upward trajectory, even climbing above pre-recession levels. As predicted, that growth is finally starting to cool off. In the past 12 months, mortgage interest rates have increased nearly a full percentage point (from 3.95% to 4.9%). As the real estate market continues to shift, slowing the pace of home sales, the Federal Reserve should be less encouraged to continue raising interest rates. Many markets nationwide are now experiencing price reductions as listings hit the market, putting downward pressure on home prices. As sellers’ expectations become more realistic, home prices in 2019 should level out toward a more balanced market. While there have been rumblings forecasting an upcoming dip in the US real estate market, for now, it appears there are few if any symptoms of weakness. How long that will last given rising interest rates and a volatile stock market is debatable. In summary, there are plenty of buyers in the marketplace, and yet the market is very honest. Properties that are turnkey or present an opportunity, and are priced accurately are getting positive results. Those that aren’t, and don’t have a strong agent with a solid reputation and a large advertising budget are sitting on the market. There is plenty to talk about, so call us anytime at 805-565-4014. Our team is actively matching buyers and sellers. If you are thinking of making a change, and would consider a "pocket listing", give us a call.